We have something special for you today – the first look at the long-awaited Toyota Supra A90. SupraMKV forum leaked the picture that clearly shows the front end of the new Toyota Supra. Of course, nothing is official as of yet, but I am really confident that this is the real deal. 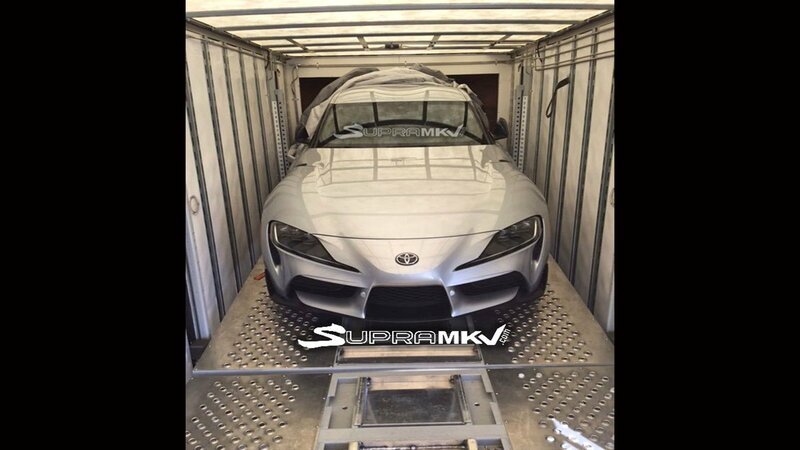 It shows the Toyota Supra being transported by a car transport wagon. The photo we have does show clear links with the FT-1 concept Toyota presented five years ago. That is a really good thing as the FT-1 looks rather stunning. The first public image of the new Toyota Supra in grey is the biggest news today, and I can say right now that this car does not look like the Z4 as some have feared.